Today, we think of the Ford Mustang as a sports car, one that perhaps lost it’s way for a while (looking at you 80s, 90s and early 2000s). Ironically, the Mustang started it’s life more like a modern econo-hatchback than as a muscle car. It targeted young people as an affordable car with a “sporty image”. It looked fast, but wasn’t particularly. Of course, lots of people jumped onto tuning the Mustang using the ecosystem of Ford parts. 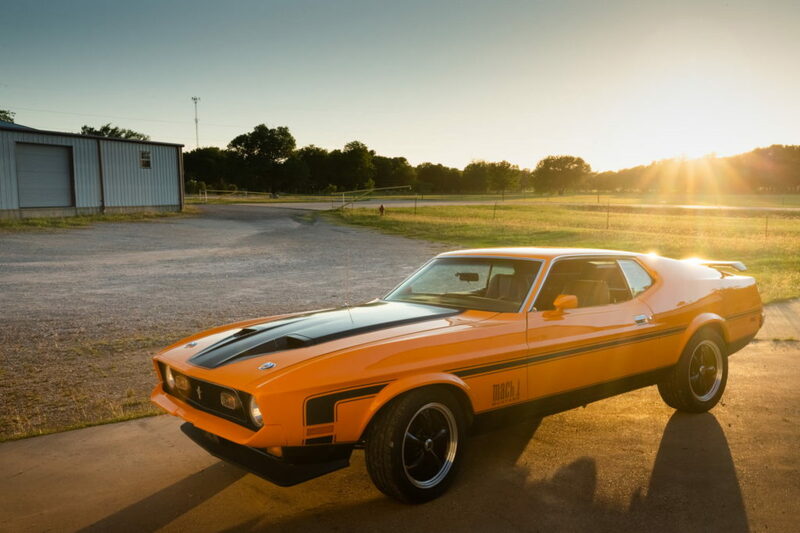 Ford got into the game with the Mach 1 (among other) variants. 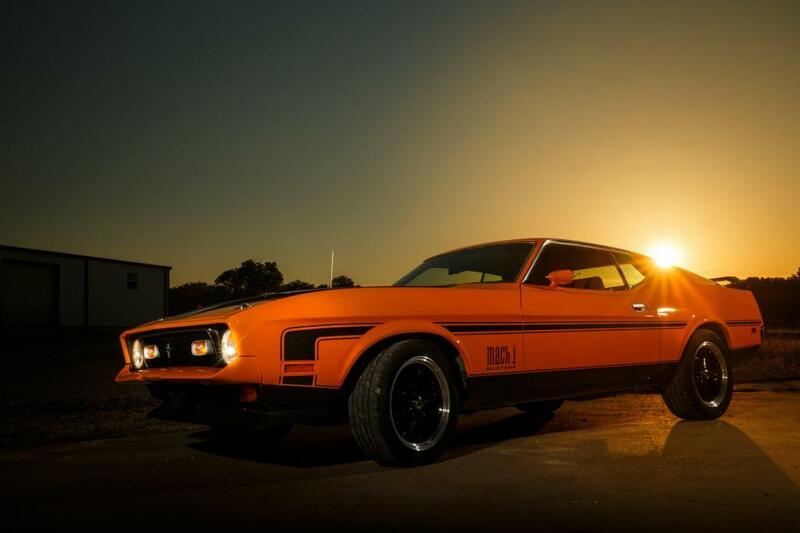 1977 was near the end of the original Mach 1 era. The name was discontinued in 1978 to be revived in 2003 and 2004. 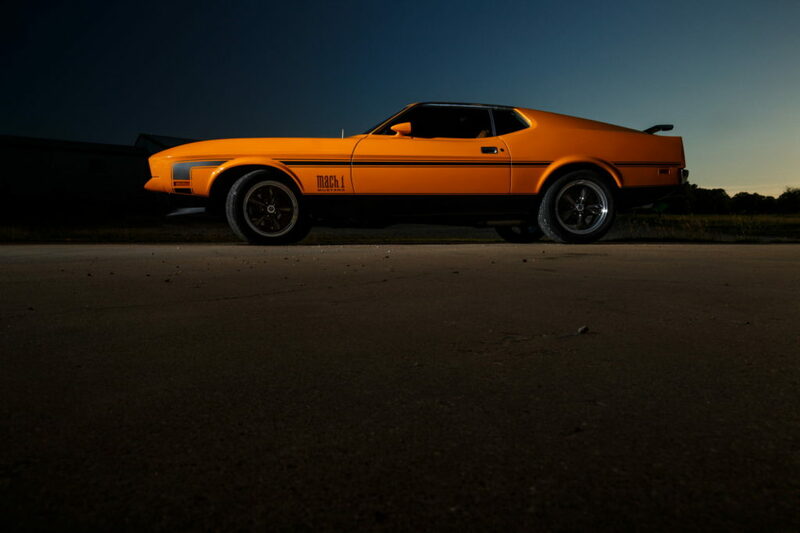 The Mach 1 wasn’t that exotic in it’s day. There we certainly higher performance options available. But, like the Mustang in general, it was accessible. Andrew‘s parents even had a lime green Mach 1 while he was growing up as their grocery getter. 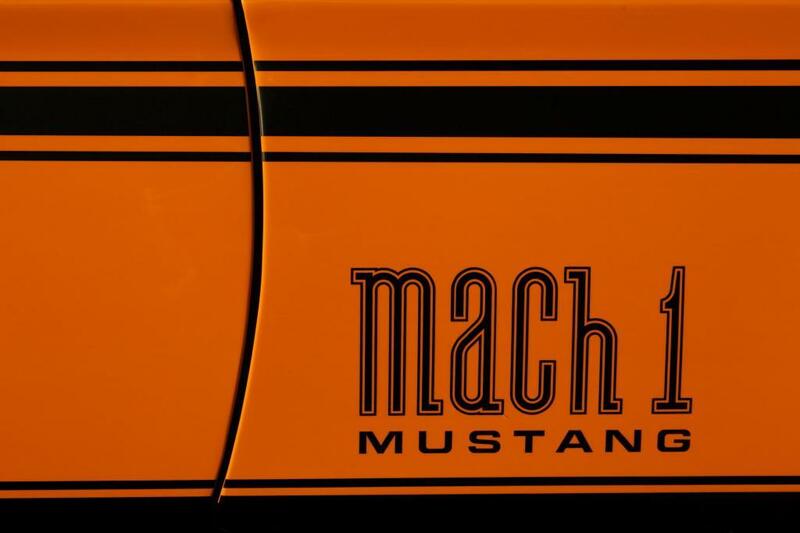 A lot of the changes in the Mach 1 over the base Mustang were styling related: the decal pack, gas cap, hood scoop (not functional by 1977) but did include more powerful engine options, as well as improved suspension. Some of the details on this restored car are quite fun, including the flip up style gas cap and trunk mounted spoiler. 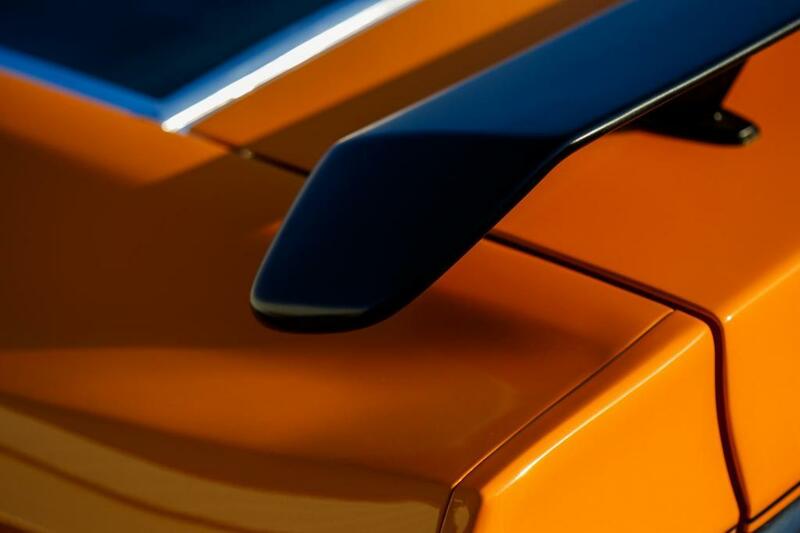 The NASA style hood scoops were one of the main styling queues from the Mach 1 along with the matte black hood coloration. While we have worked to keep the location out of many of the photos, it shows through in this photo. Metal buildings and a gravel driveway feel oddly appropriate for a car that was a working class hero car. 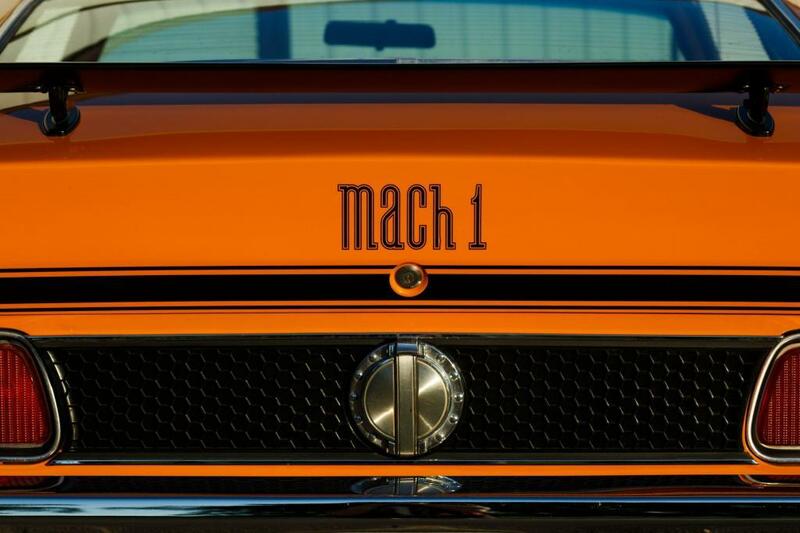 Far from being exclusive, the Mach 1 Mustangs were sold to every-man. 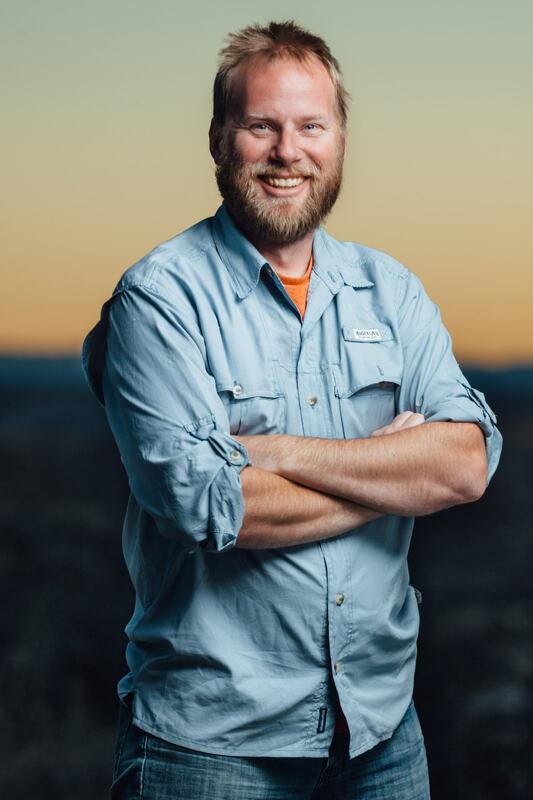 The black on orange is a striking color combination, especially with the big blue skies in Texas.